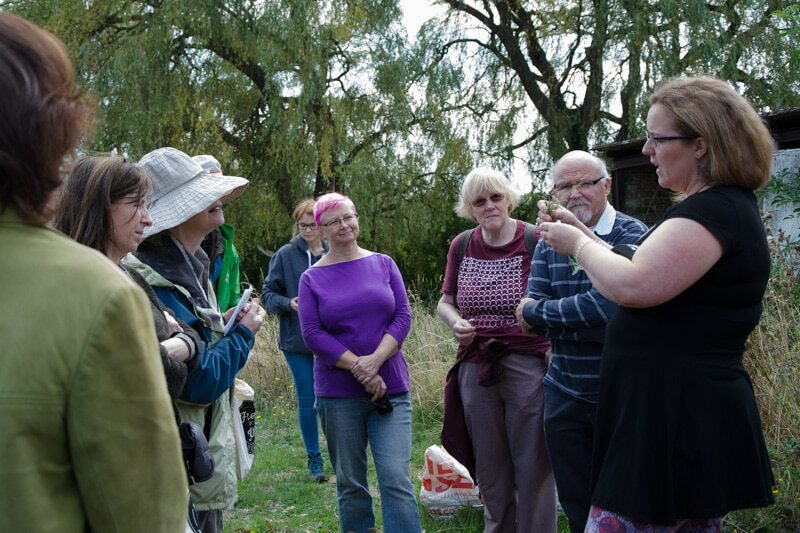 The hidden “green” jewel of Milton Keynes that is Westbury Arts Centre was once a 14th century moated manor and a farm, so it should come as little surprise that the established landscape around the house provided the perfect setting for our foraging walk with Wanderwoven‘s Alissa Pemberton on 9 September. 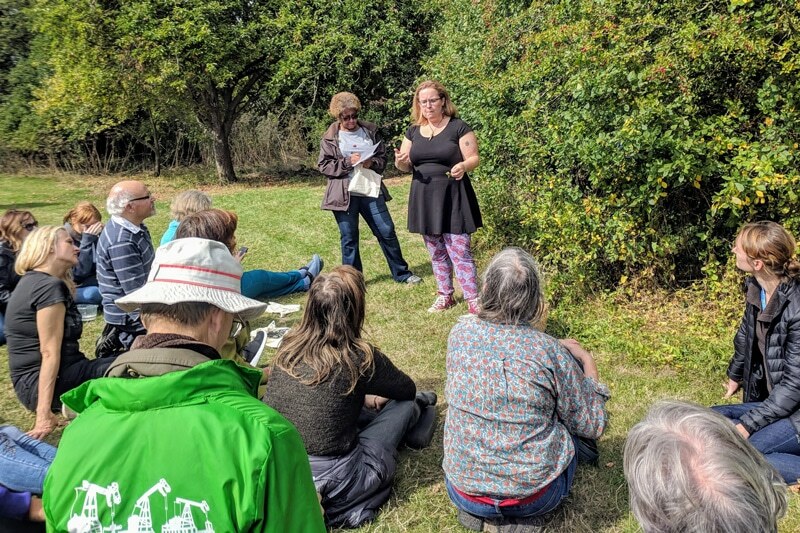 Looking beyond the pretty landscaped garden with its beautifully manicured borders, we explored in true permaculture style, starting with an appreciation of the (dishevelled) edges as we paid special attention to the plants that often get overlooked in the margins. 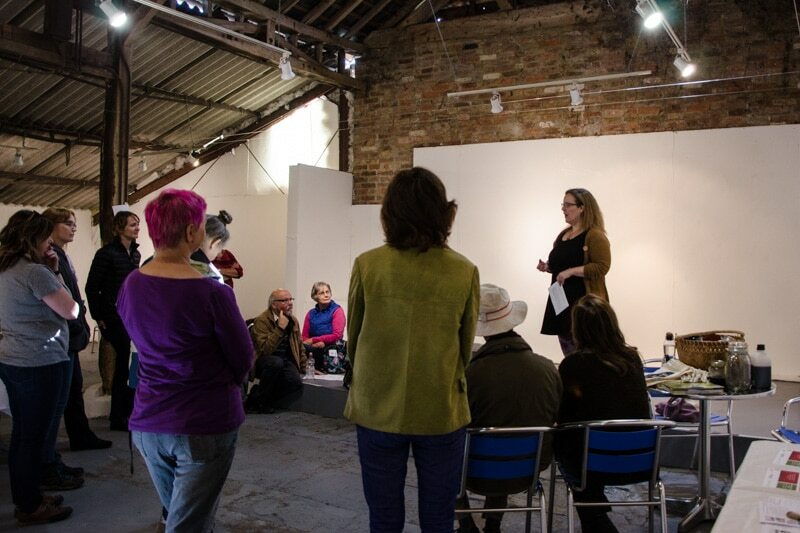 We immediately learnt the value of the margins. These diverse and productive spaces that make up the edges tend to show us where two ecosystems or habitats meet. In this case, the margins were between the tended garden and wild edges where the lawmower couldn’t reach, but other examples could be the strip of land between a woodland and meadow, a hedgerow or wilderness separating farmland or, as we often see in Milton Keynes, the patches of green separating roads and redways. True to nature, we found that these edges presented a richer variety of species than either habitat on its own. Our first task was to explore on our own and observe what was on the site and inspired us. 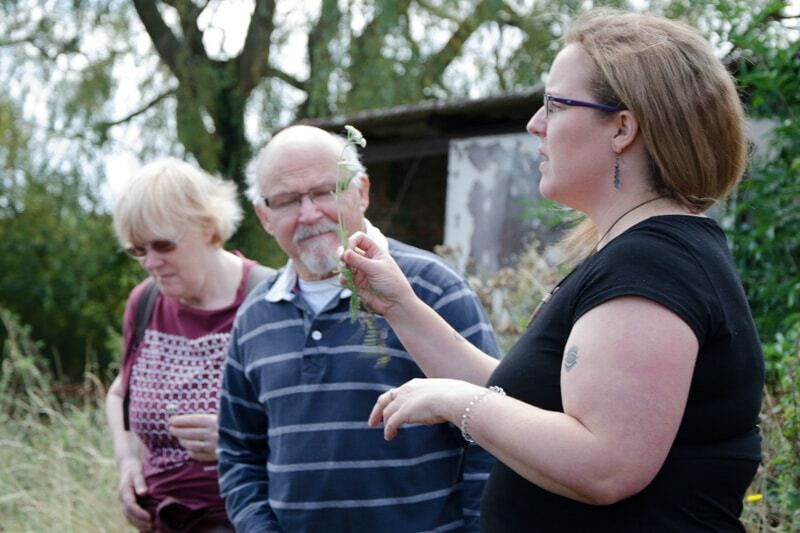 We were encouraged to engage with nature and look beyond what we usually see by being mindful and taking our time to focus on just one plant to see what it evoked in us. 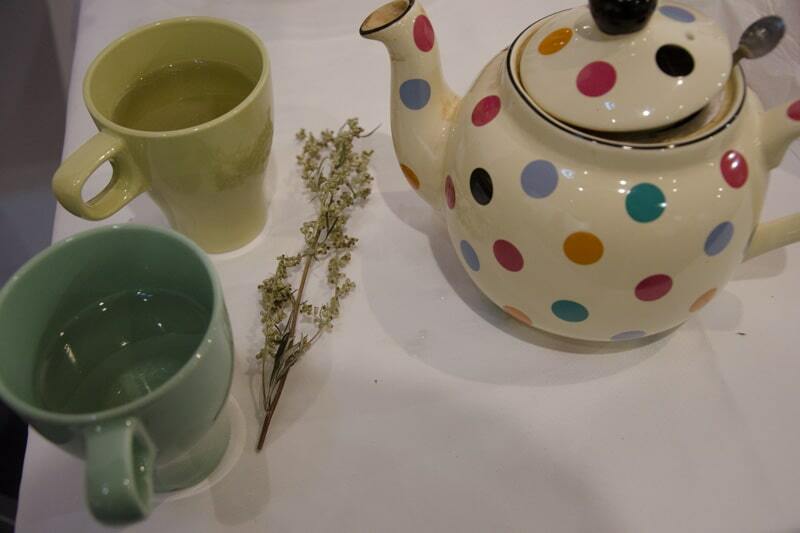 Mugwort tea has been in use for thousands of years in a number of different cultures, ranging from Europe to China, and has long been praised for its medicinal and spiritual benefits. 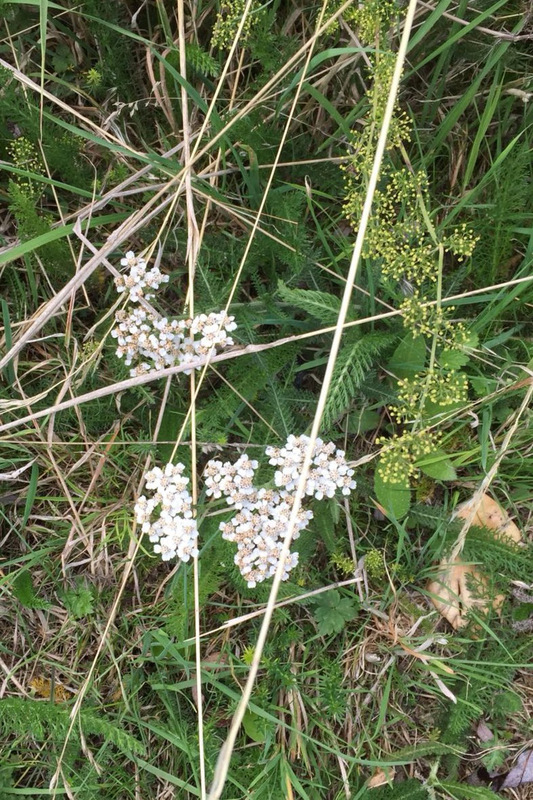 As well as being recommended for people suffering from insomnia, anxiety, painful menstruations, digestive issues, obesity, weak immunity, diabetes, depression, inflammation, colds, coughs, flu, respiratory infections and kidney problems, according to lore, mugwort is known as the herb of dreams for its ability to help relieve tiredness/fatigue and clear the mind. 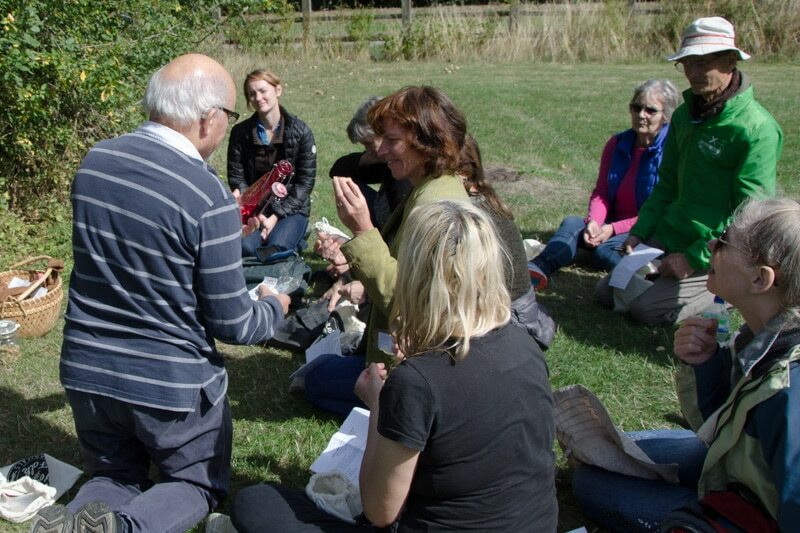 It was a beautiful day and we easily filled the two hours uncovering edible natural treasures on the grounds of Westbury. 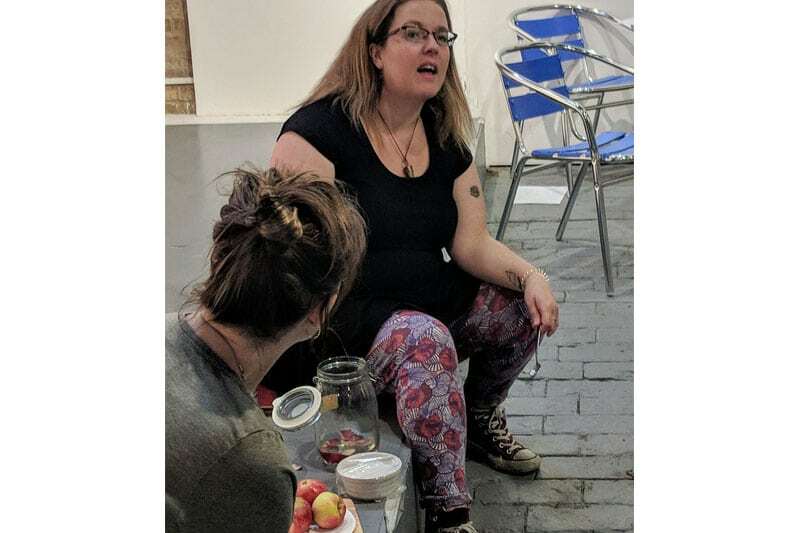 Alissa provided us with an insightful introduction to foraging through stories of the folklore and edible and medicinal qualities of the plants we came across. 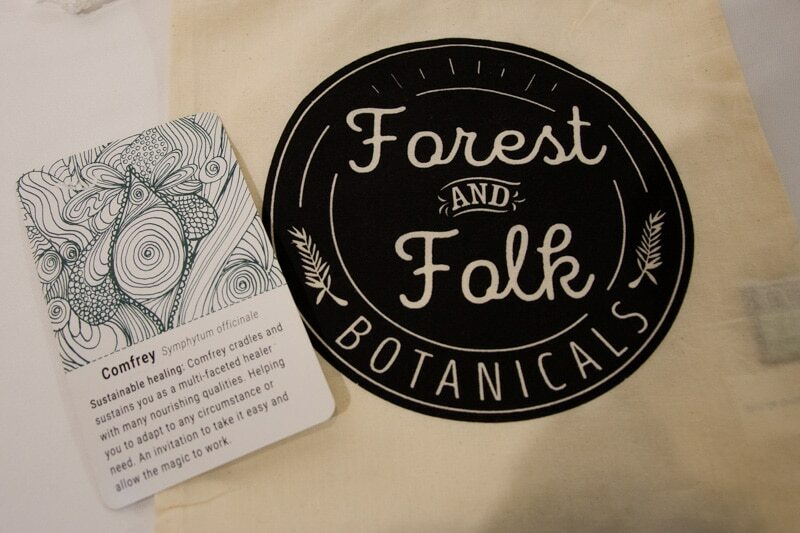 We took our time and were given an interactive experience to get to know the plants and their histories, applying all of our senses to help us connect with them more fully (through sight, sound, smell, taste and touch). 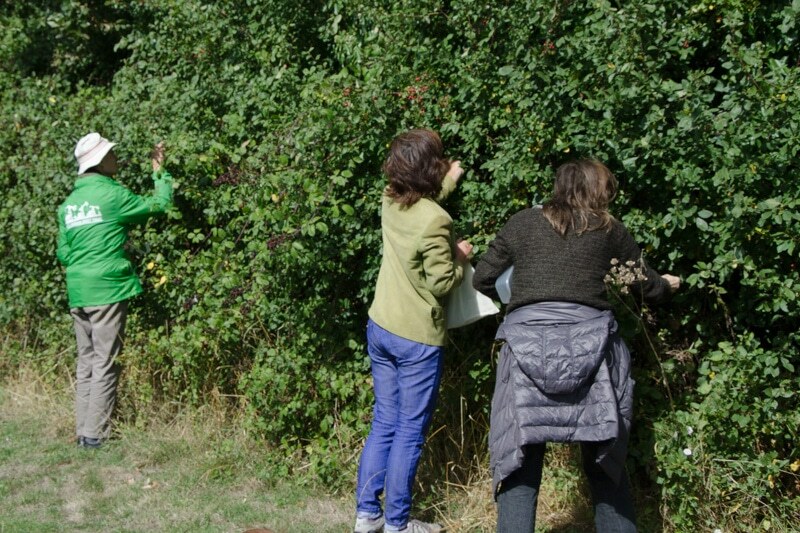 Although we were a larger group than Alissa would normally take out, we were a friendly bunch that was keen to participate, so we all enjoyed the experience exploring together; picking things out and asking questions to make the most of the time we had to forage. It was interesting to see things we’d normally miss and that we’d come to appreciate simply by taking the time to inspect our surroundings more slowly and closely. 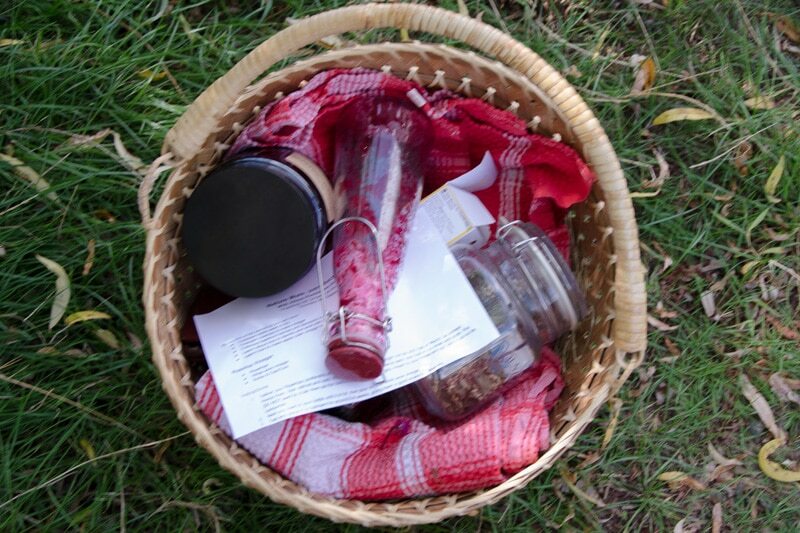 Between us, we found all sorts of edible herbs and berries hiding among clumps of grass and in hedgerows. 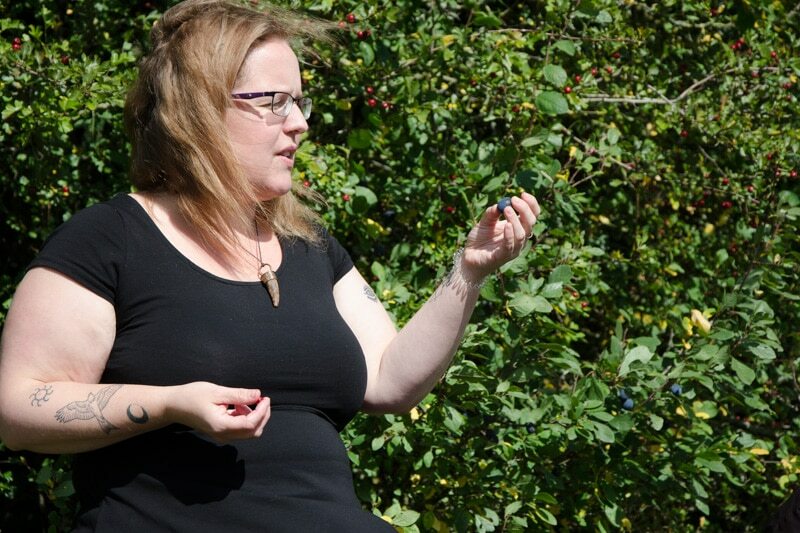 Alissa was able to help us distinguish between a tasty treat and a poisonous pretender, as well as give us ideas for how to turn our foraged ingredients into delicious recipes. Even the most unsuspecting plant we found on our nature walk had a purpose. 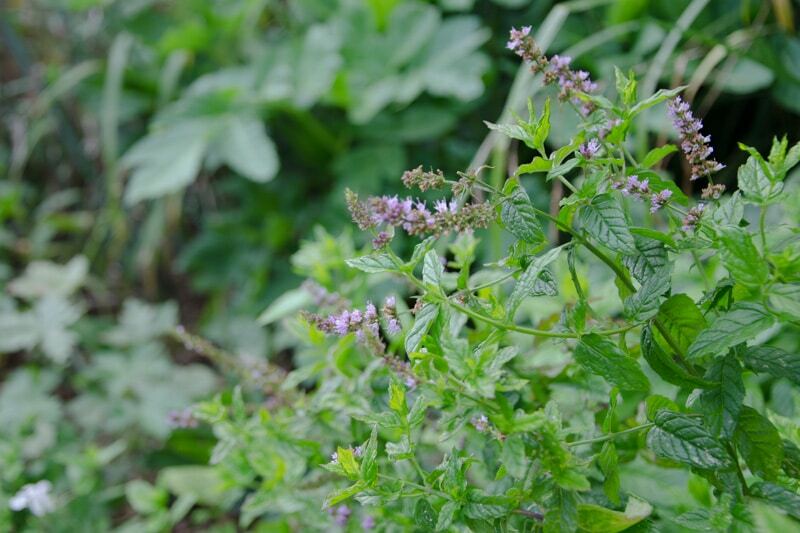 For example, one of the most common plants we call a “weed”, the Stinging Nettle, is in fact a master healer as well as a free, nutritious food that we could make more of. 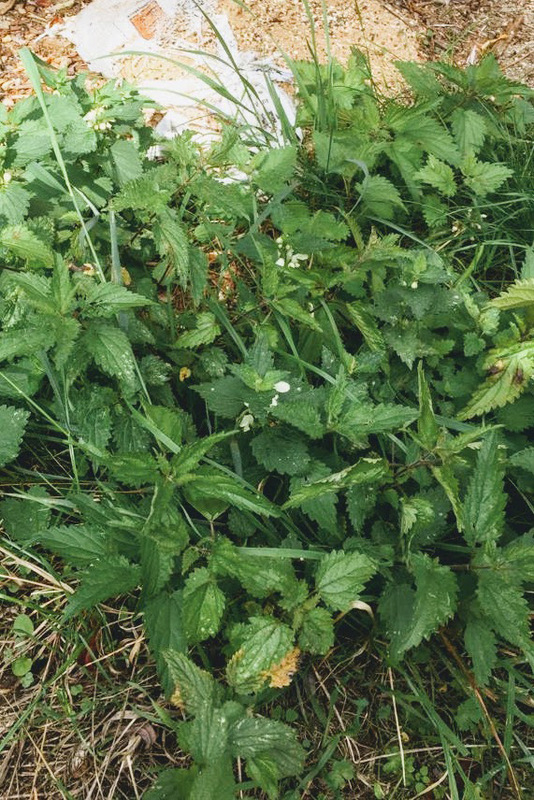 We found “White Dead-nettle” on our walk, a relative of the common Stinging Nettle that shares a lot of characteristics but, as suggested by its name, does not sting. Serving medicinal uses in the treatment of bladder and kidney disorders amongst other things, like the nettle, White Dead-nettle is edible. 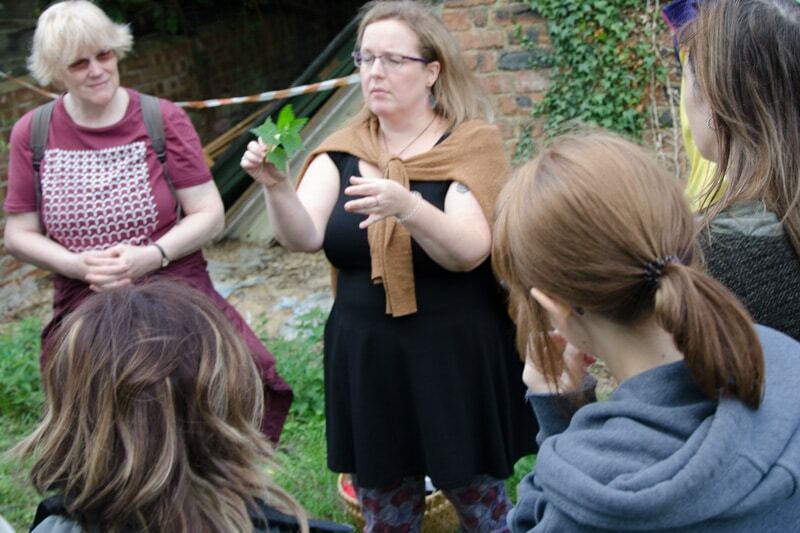 Alissa told us about how the young leaves and shoots are tender enough to eat raw in the time before the plant flowers, and how later, when the leaves become tougher and possibly bitter, you can steam or lightly cook the leaves and eat as a green or add them to soups (as you would with the leaves of Stinging Nettle). 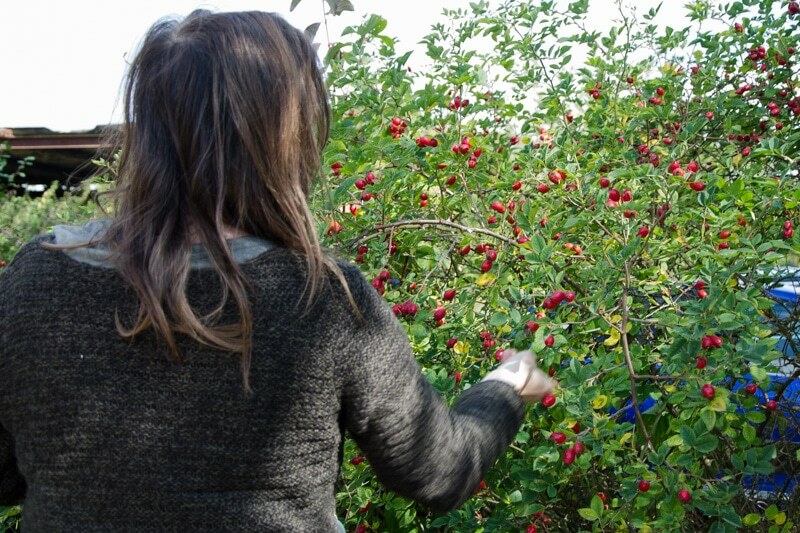 In discovering some of nature’s most delicious (and free!) foods, we saw how everything works together in a naturally balanced system that essentially sustains itself. 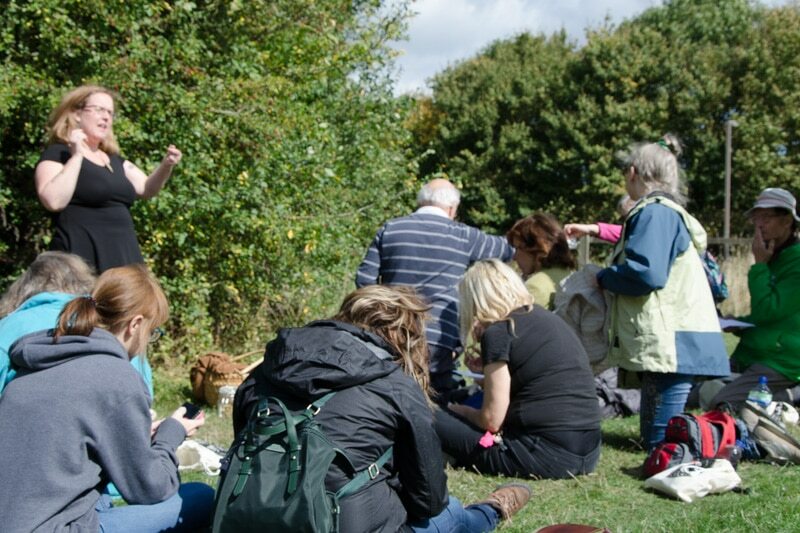 The atmosphere was upbeat and everyone was genuinely delighted to be discovering so much about the natural world around them and just how many opportunities there are to rustle something up out of nothing. 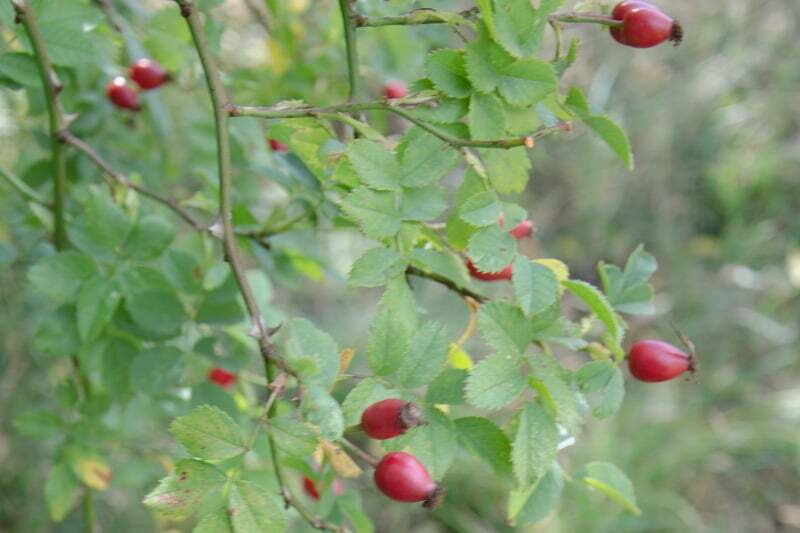 Everyone who attended received Alissa’s recipes for rosehip vinegar and hawthorn berry ketchup to have a go at making them at home. 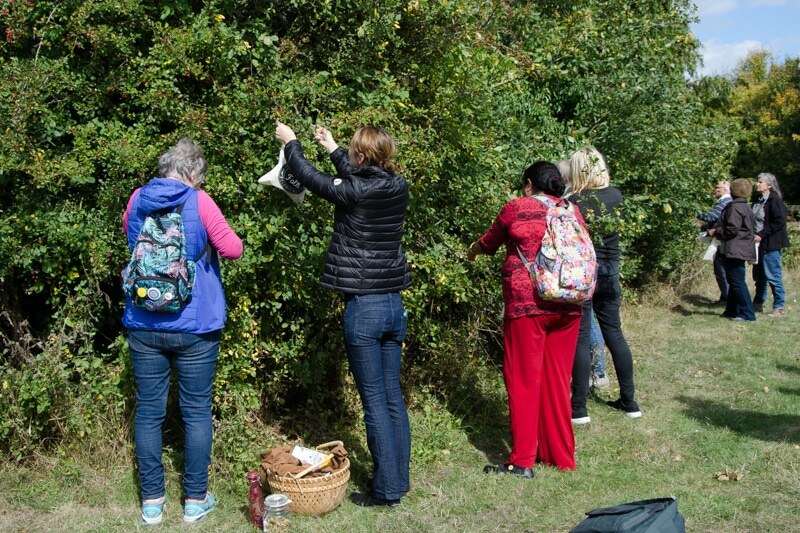 Hopefully this is just the start of some creative foraged recipes that we can share now that this wild edible plant walk has re-awakened our senses and opened up a new-found appreciation of nature and the (free) food sources that are all around us. 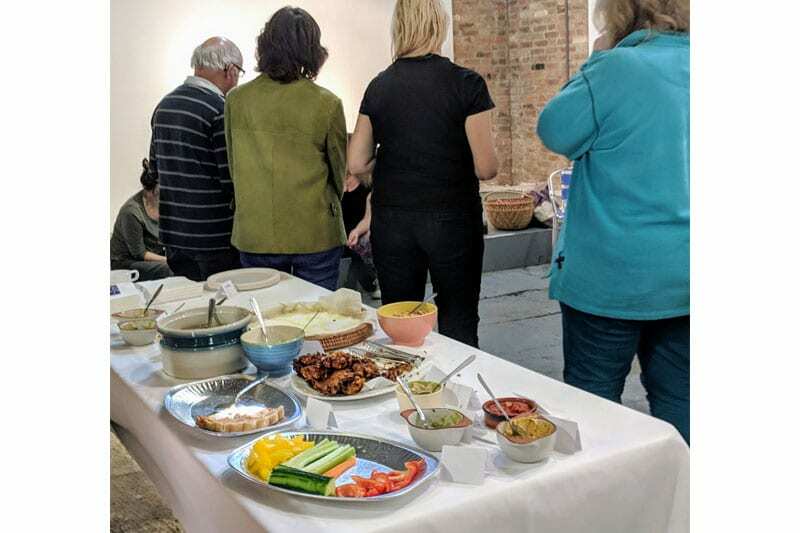 – especially to our guest host Alissa Pemberton for taking our foraging walk, Bev Forshaw and Frances Fox for the beautiful buffet lunch they prepared, and to Westbury Arts Centre for providing the perfect venue to facilitate it all! 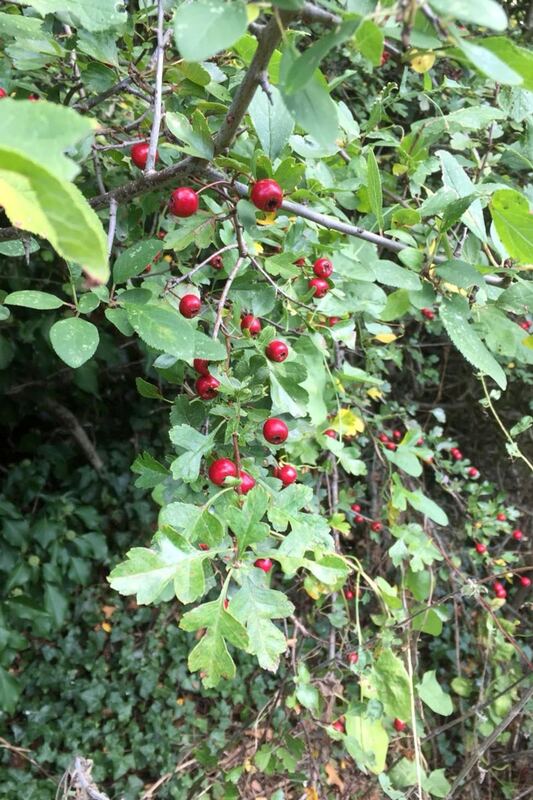 PreviousPrevious post:August Seasonal Foraging Finds: BlackberriesNextNext post:How to Save Money by Never Wasting Food Again!